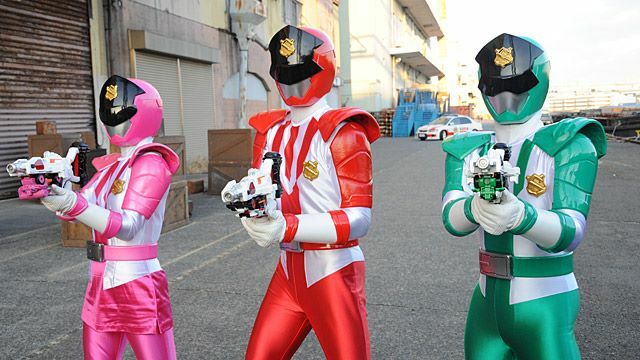 Excited for the next, action-packed episode of Kaito Sentai Lupinranger VS Keisatsu Sentai Patranger? Well, check-out the the title and summary for the second episode that features the debut of the Good Striker and Lupin Kaizer! "The three-way battle between thieves, police, and Gangler breaks out! But that's not all, the Patrangers chase the Lupinrangers with their own VS Vehicles! Keiichiro swears to take down the Gangler that attacked the jewelry store owner. Meanwhile, Kairi looks at him in the distance remembering the day he lost his older brother. Soon, another Gangler starts to rampage in the city. Both teams rush to the scene in order to retrieve the Collection. The three teams fight each other once gain as the Gangler grows huge and starts to wreck the city. They then proceed to confront the Lupinrangers signature mecha, Lupin Kaizer! Just why are these teams fighting a war over the Collection?!"